It is imperative that you define the roles and responsibilities of team members involved in BIM if you are to harness the full impact of BIM in your project. BIM facilitates a seamless workflow because it stores functional data across different stages of a project. With proper modelling requirements, professionals involved in the project build up the model with the right information at the right times – the consequence is effective collaboration. 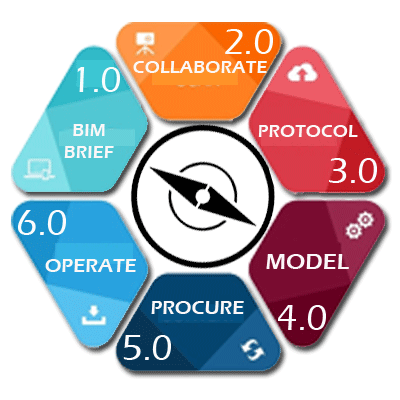 The six phases introduced in the BIM Navigation Tool sets goals that fit into the project schedule and scope of work. It enables model sharing and encourages collaboration across the entire team and various disciplines. This way, the team can resolve issues quickly and facilitate documentation of its project execution for future reference and learning. The team and client fully understand why BIM will be used on the project. Expectations are managed from the start by defining what outcomes are expected at each stage of the BIM model. Essential buy-in, support and commitment from principals is expressed. Overall responsibility for the BIM implementation is assigned to (preferably) one person. If there is a lack of skills internally, external assistance / consultation can be sought. The key to a successful BIM enabled project delivery process depends deeply on the level of collaboration across the entire design/construction team during production and management of information for the entire project. Understand the present situation of the project to set benchmarks for information and data required on the project. Exchange information between all Project team. To enable this exchange, a Common Data Environment must be formed ASAP. BIM deliverables often have their own inherent hardware / technology infrastructure requirements. Ensure project Project team can meet these needs by recognising and understanding the required infrastructure needs. Set clear assessment criteria and an implementation programme to monitor your progress in real time. Document your BIM implementation plan. Align with the project BIM Contract Conditions. All parties in the project should include the BIM Contract Conditions into their respective agreements or contracts for services, supply and/or construction for the project. Pay careful attention to the interoperability of BIM authoring tools. Recognize and document any known compatibility issues and develop project specific workflows to overcome these compatibility issues. Data exchange between BIM and 3rd party applications can be accomplished in several ways – APIs, plugins and IFCs among them. Identify your requirements for BIM and fully define your goals. Affect the choice of software, hardware and IT infrastructure. 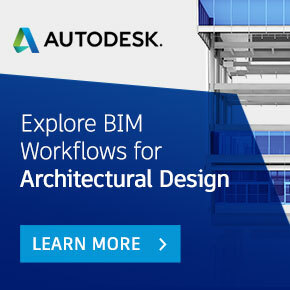 Include the processes and methods on how data is shared among the various BIM authoring tools and what the final output file is required by the client. Outline the level of detail (LOD) required in each phase of the project. The LOD in a building model varies depending on project phases, from preliminary models to very detailed models required for costing activities during the construction phase. Affect office and onsite procedures. Allow for training: adequate funding and time for training and workshops among the design team and professionals must be factored in. A Released Model is not intended to provide the level of detail needed to extract materials, specifications or quantities – unless specified in the BIM Execution Plan. Make sure you know EXACTLY what information needs to be included before you start to model. Remember that the modelling software is incredibly powerful, with vast capabilities. Don’t run before you can walk. Start simply and progress to more advanced tools as your proficiency (and confidence) increases. It is easy to get excited about the capabilities of BIM tools and processes, but be careful not to oversell the software to your client and external parties. Do not to oversell your BIM capabilities through the software to external parties whilst in the process of implementing BIM. This could lead to demands being made for efficiencies or additional services which the organisation may not be ready to deliver. Audit and review the process, possibly with input from an external expert, revising your plan where necessary. Make sure you understand the BIM Contraction Conditions for modelling. Expert Guidance must be provided on some of the key decisions that have to be made regarding an organisation’s.Don’t always rely on your office peers for all the decisions. Get expert advice. Which elements of BIM design will be implemented first? Will the implementation be trialled as a pilot on a previously completed project or rolled out on a live project? Will dedicated non-billable hours be provided for training or will it be included in job fees? The role of the BIM manager? The BIM authoring tools that will be used on the project? Model geographical location must be understood by all design teams from the beginning. Enforce the project team to use the CDE correctly. Any 3rd party servers , cloud storage systems must be stipulated on the project. Ensure model quantities are set correctly and for estimators to measure correctly. The classification of elements must be greatly simplified and models can be used for prefabrication purposes for specialist sub-contractors. Construction management is often forgotten in early planning for projects. Ensure information in the as-built models is available if the contractors requires the model and 2D CAD information. The client is often not made aware of the Model Operation management features available to them and often forgotten in early planning for projects to understand the output. Make sure the BIM brief Definitions makes refence to the Operation and maintenance within the model. Project Team Integration (PTI) refers to the process and level of integration, operation and collaboration of the team in a project. The level of integration is substantially up to the Client.